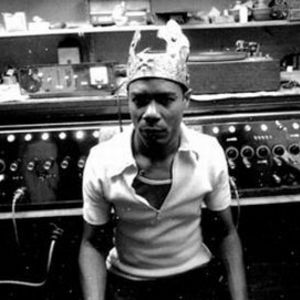 King Tubby (born Osbourne Ruddock, January 28, 1941 ? February 6, 1989) was a Jamaican electronics and sound engineer, known primarily for his influence on the development of dub in the 1960s and 1970s. Tubby's innovative studio work, which saw him elevate the role of record producer to a creative height previously only reserved for composers and musicians, would prove to be highly influential across many genres of popular music. He is often cited as the inventor of the concept of the remix, and so may be seen as a direct antecedent of much dance and electronic music production. In the 1950s, King Tubby's musical career began with the sound systems, which were set up on the streets of Kingston to play dance music for the people. As a talented radio repairman, Tubby was soon in great demand at most of the major sound systems of Kingston, as the tropical weather of the Caribbean Island, (often combined with sabotage by rival sound system owners) prompted many malfunctions in the equipment. Tubby would eventually form his own sound system, Tubby's Hometown Hi-Fi, which became a crowd favourite due to high sound quality, exclusive releases and Tubby's own echo and reverb sound effects, at that point something of a novelty. Tubby began working as a disc cutter for producer Duke Reid in 1968. Reid, one of the major figures in early Jamaican music alongside rival Clement 'Coxsone' Dodd, ran Treasure Isle studios, one of Jamaica's first independent production houses, and was a key producer of Ska, Rocksteady and eventually Reggae recordings. Asked to produce instrumental versions of songs for sound system MCs or toasters, Tubby initially worked to remove the vocal tracks with the sliders on Reid's mixing desk, but soon discovered that the various instrumental tracks could be accentuated, reworked and emphasised through the settings on the mixer and primitive early effects units. In time, Tubby (and others) began to create wholly new pieces of music by shifting the emphasis in the instrumentals, adding sounds and removing others and adding various special effects, like echoes, reverb and phase effects. Partly due to the incredible popularity of these early remixes, 1971 saw Tubby's soundsystem consolidate its position as one of the most popular in Kingston and so he decided to open a studio of his own. King Tubby's production work in the 1970s would see him become one of the best-known celebrities in Jamaica, and would generate interest in his production techniques from musicians across the world. Tubby built on his considerable knowledge of electronics to repair, adapt and design his own studio equipment, which made use of a combination of old devices and new technologies to produce a studio capable of the precise, atmospheric sounds which would become Tubby's trademark. With a variety of effects units connected to his mixer, Tubby was able to 'play' the mixing desk like an instrument, bringing instruments and vocals in and out of the mix (literally 'dubbing' them) to create an entirely new genre: dub music. Using existing master tapes or his own highly skilled session musicians, Tubby would twist the instrumental parts of songs into unexpected configurations which highlighted the heavy rhythms of their bass and drum parts with minute snatches of vocals, horns and keyboard. These techniques mirrored the actions of the soundsystem selectors, who had long used EQ equipment to emphasise certain aspects of particular records, but Tubby was able to use his custom-built studio to take this technique into unexpected areas, often transforming a hit song to the point where it was almost unrecognizeable from its original. Tubby engineered/remixed songs by Jamaica's top producers such as Lee Perry, Bunny Lee, Augustus Pablo and Vivian Jackson that featured artists such as Johnny Clarke, Cornell Campbell, Linval Thompson, Horace Andy, Big Joe, Delroy Wilson, Jah Stitch and many others. In 1973, he began recording vocals to put along the instrumentals. It is unlikely that a complete discography of Tubby's production work could be created based on the number of labels, artists and producers with whom he worked, and subsequent repressings of these releases sometimes contained contradictory information. His name is credited on hundreds of b-side labels, with the possibility that many others were by his hand yet uncredited, due to similarities with his known work. By the later part of the decade, though, King Tubby had mostly retired from music, still occasionally recording remixes and tutoring a new generation of artists, including King Jammy and Scientist. In the 1980s, he focused on the management of his own labels, Firehouse, Waterhouse and Taurus, which released the work of Anthony Red Rose, Sugar Minott, Conroy Smith and other popular musicians. He has been cited numerous times as influential to modern musicians including Animal Collective's Panda Bear (Noah Lennox). King Tubby was shot and killed on February 6, 1989 by unknown persons outside his home in Duhaney Park, upon returning from a session at his Waterhouse studio. It is thought that the murder was probably in a robbery attempt.